Another in the occasional series on contemporary accounts of events in the history of London. Early Anglo-Saxon London, or Lundenwic, which was situated immediately without the walls of the old Roman city of Londinium, and to the west, between Aldwych and Westminster, became subject to increasingly frequent and savage raids by the Vikings by the ninth century. According to the “Anglo-Saxon Chronicle”, in 839, “… there was great slaughter in London … ”, and in 851, “ … came three hundred and fifty ships came into the mouth of the Thames; the crew of which went upon land, and stormed … London … ”. Then, in or around 867, the city was actually captured and occupied by the Norsemen under Halfdere, who installed a garrison there (and a mint). Its strategic significance was such that it was vital for the Anglo-Saxons to recapture it as soon as possible, to regain control of the Thames and its crossing points. This they finally did under Alfred the Great in 886, when the Vikings were forced to withdraw to the east of the River Lea. Again according to the “Anglo-Saxon Chronicle”: “In the same year, Alfred, King of the Anglo-Saxons … honourably rebuilt the city of London, and made it again habitable”. He rebuilt the city within the walls of the old Roman City of Londinium, renovating not only the walls but also the waterfront, and incidentally also setting out the street plan that still in essence survives to this day, centred on Cheapside and Eastcheap; and he renamed it Lundenburg. 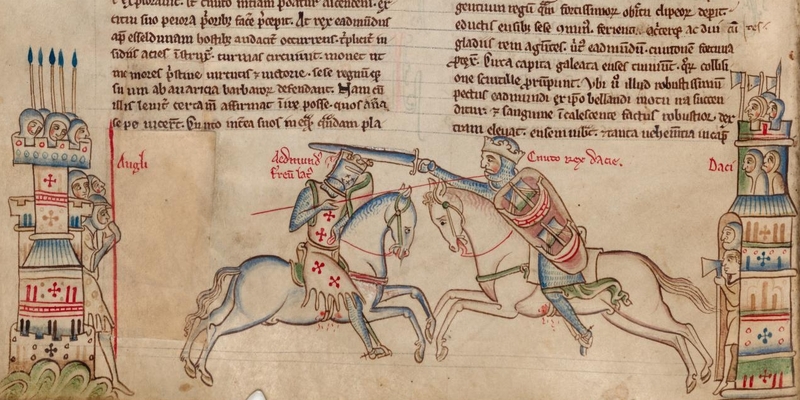 He then gave his custody of the City, and command of its militia or burgwara, to his son-in-law Ethelred, Earl of Mercia “ … to which … all the Angles and Saxons … voluntarily turned and submitted themselves … ”. The raids continued, though. 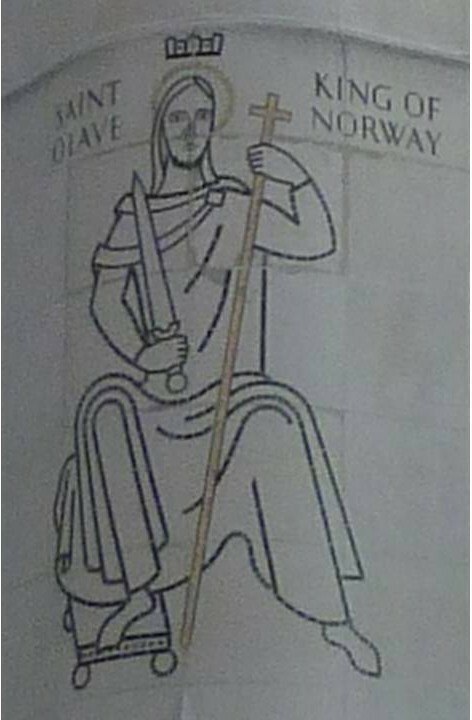 In 994, “ … [the Norwegian] Olaf [Haraldsson] and [the Danish King] Swein [Sweyn Forkbeard] came into London on the Nativity of St Mary with 94 ships, and they proceeded to attack the city stoutly and wished also to set it on fire; but there they suffered more harm and injury than they ever thought any citizens would do to them. 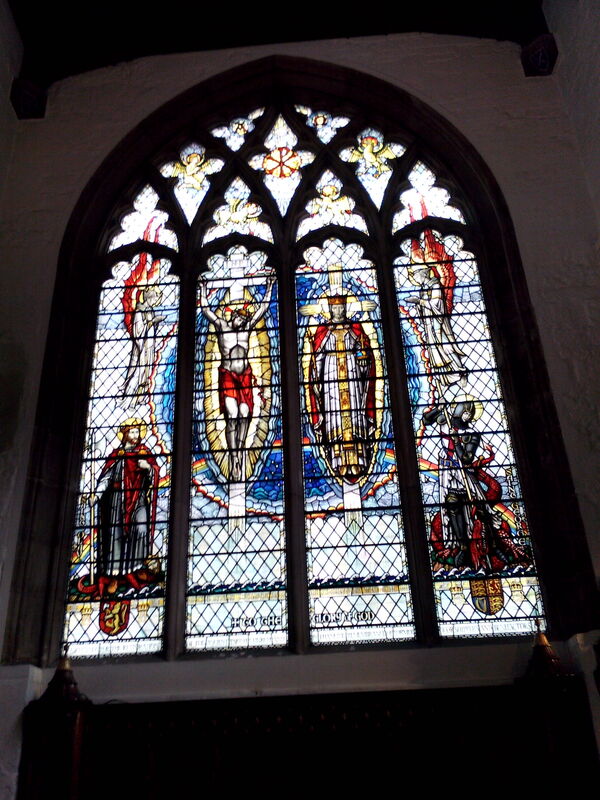 But the holy Mother of God showed her mercy to the citizens on that day and saved them from their enemies”. And in 1009, “ … they … took up winter quarters on the Thames, and lived off … the shires which were nearest, on both sides … , and … attacked the borough of London”. 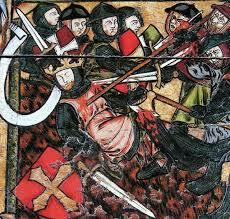 Then, in 1013, the city fell again to the Vikings, albeit again only temporarily, being retaken the following year by the English King Ethelred II, “the Unready”, in alliance with Olaf, who had previously sided with Sweyn (when, according to the “Olaf Sagas”, Olaf destroyed London Bridge and the Viking army assembled on it by pulling it down with ropes tied to his long-boats). 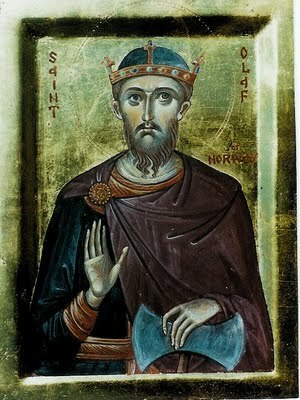 Incidentally, Olaf went on to become King Olaf II of Norway in 1015, and Saint Olaf or Olav(e), to whom a number of London churches were to be dedicated, after he was martyred at the Battle of Stiklestad in 1030. Finally, in 1016, the Viking Cnut, son of Sweyn Forkbeard, son of Harald Bluetooth, decisively defeated in battle Edmund II, “Ironside”, to become King of England as well as Denmark. 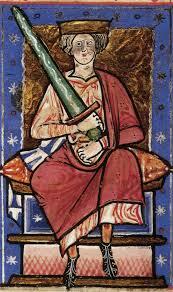 Cnut was in turn succeeded by his sons Harold I, “Harefoot”, in 1035, and Hardicanute, in 1040. 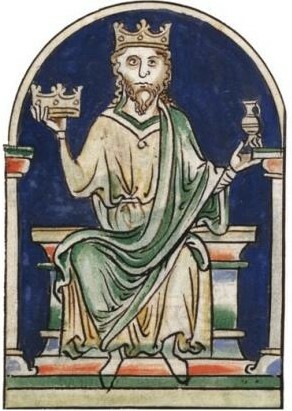 The Anglo-Saxon Edward “the Confessor”, the son of Ethelred II, “The Unready”, became King when the Viking Hardicanute died, leaving no heir, in 1043; and the ill-fated Harold II, in 1066. This entry was posted in Contemporary accounts of events, Saxon, Site is on a Lost City of London Tour, Viking and tagged Anglo-Saxon Chronicle, Ethelred II, King Alfred, King Cnut, Olaf on June 17, 2014 by Bob Jones - The Lost City of London.